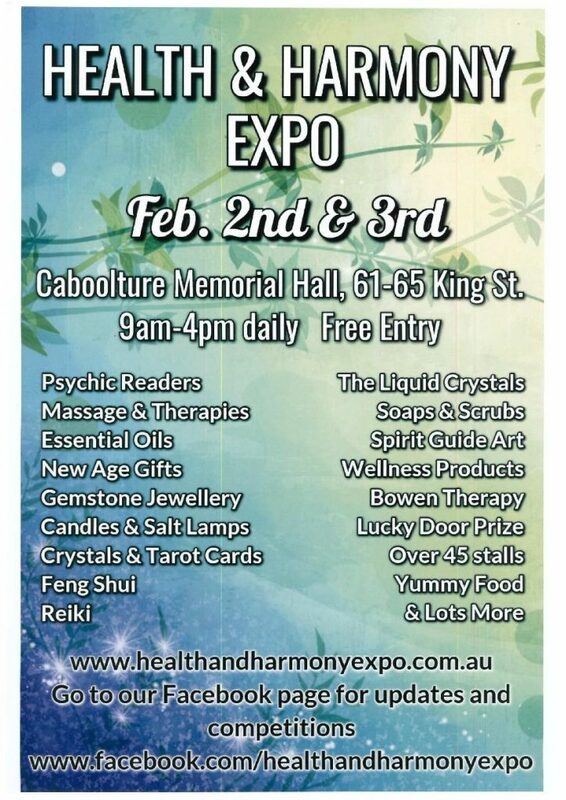 Join us, February 2nd & 3rd for an event in the heart of Caboolture. Have a reading with one of our talented Psychics, experience Spirit Guide Art, Aura Photography, Gemstone Jewellery, Massage & Reiki. Enjoy some yummy food and browse over 45 stalls.